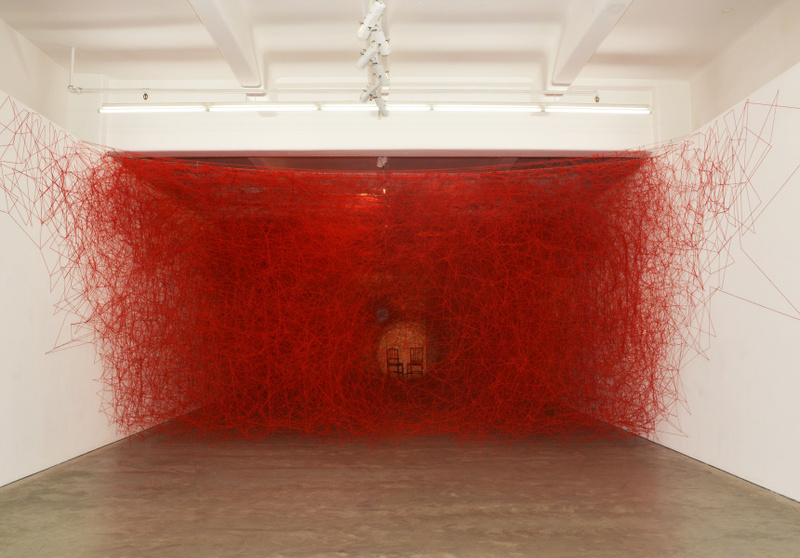 Japanese artist Chiharu Shiota pluck the strands of our most distant memories. 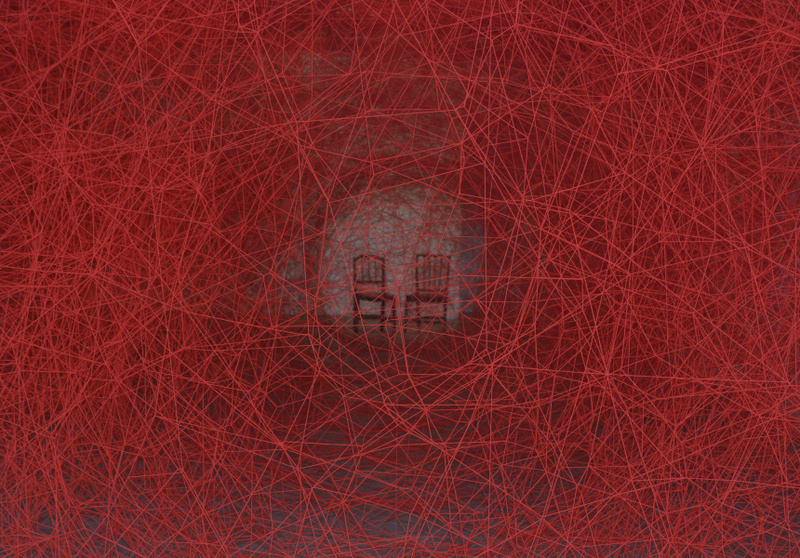 Chiharu Shiota’s Absent Bodies is like an enormous, red web left by what must be an enormous spider. The constellation of thread, like a million veins, envelops Anna Schwartz Gallery, wall to wall. Through the mess of tangled threads you can see, faintly, two chairs. The Japanese-born, Germany-based artist is featured as part of the 2016 Melbourne Festival following her breakthrough at the 56th Venice Biennale’s Japanese pavilion. Shiota is known for suspending objects with a web of threads to physicalises the absent, hollow structure of memories. At the back of the gallery miniature books, written in German, float in individual, webbed cocoons. 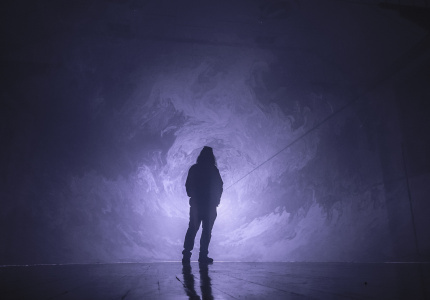 As well as Absent Bodies, Shiota is also debuting another touring installation in Melbourne, The Home Within. Made also from red threads, her “house” structure was at Deakin Edge from October 6 to 9. It's currently spending time at North Melbourne’s Meat Market and will move into the Melbourne Town Hall later this month. “Memories is something that exist in my mind, but I can never touch. I can never explain. 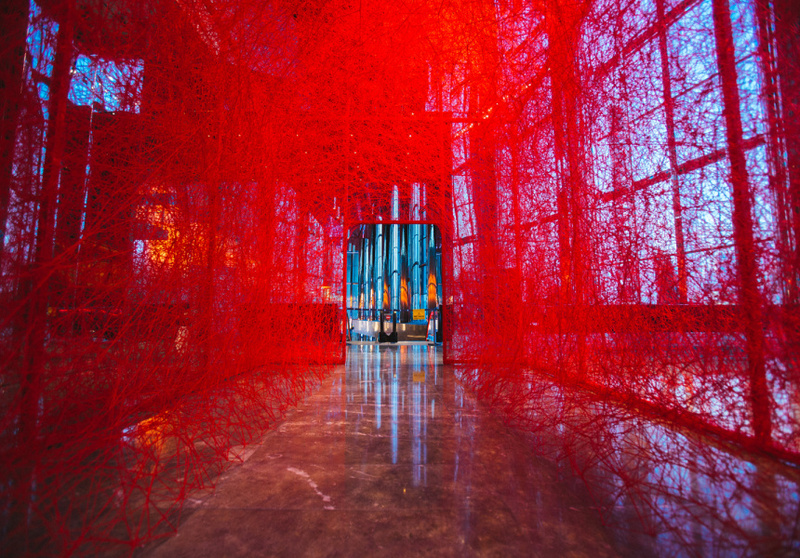 That’s why I am interested to work with memories,” Shiota says, as she starts to weave a few dangling threads at the corner of the web. Absent Bodies runs at the Anna Schwartz Gallery from October 5 to November 5, 2016. 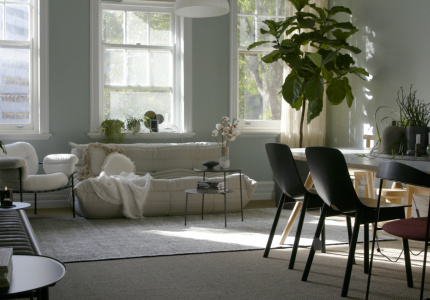 The Home Within runs at Meat Market from October 10 to October 22, and closes at the Melbourne Town Hall on October 23.